Yep, I started working on it in Ace. Most of the screenshots come from the Ace version. My plan is to basically convert the show (at least the most important/relevant parts story-wise) into a game, so no prior knowledge would be required. Basically these would be pretty much spoiling each other, so from some point of view I believe it actually would be better to not be familiar with the show. Of course I don't encourage you to play/watch anything - I'm aware, that the game will be... well... peculiar.. and that not everyone will be brave enough to poke it and it's absolutely okay. I made 36 character concepts, and I'm now certain it is possible to make a large scale cast using the face generator. L.L. sprites are flexible enough to get the job done for almost any face, so I think I'm going to begin developing the setting and plot so I can get busy fleshing out and finalizing character concepts. A new concept I've put some development into. One of the last living Blood Elves. Her species were wiped out as a result of their uncontrollable blood lust and appetite for violence. It always lead to war, and they destroyed themselves fighting humans, other elves, and each other. 300 years ago, human kingdoms launched a campaign to destroy the last of their decaying empire, and a culling of the species began, turning into a genocide over time. Nevara was raised among Elves and taught to control her temperament, but she was never able to adjust to the lifestyle of a 'normal' Elf. She constantly rebelled or lost control and got into trouble. As a young woman, she ran away to separate herself from other people in order to protect them. This is a fan-made project, that is not associated with Hasbro, Inc. in any way. The creator of this project will never make any money in any way from it. My Little Pony: Friendship is Magic is the property of Hasbro, Inc.. This is a fanmade Local Multiplayer Ponified Kid-Friendly Turn Based RPG based on My Little Pony: Friendship is Magic TV series. A unicorn pony, Twilight Sparkle receives a very important mission from Princess Celestia, the ruler of the magical land of Equestria. She and her assistant, a baby dragon named Spike are sent to Ponyville, where her task will be to meet other ponies and study about the Magic of Friendship. With their new friends, they'll go on adventures and solve various problems. ♥ PONIES! Discover the Magic of Friendship! ♥ Story and events heavily based on the TV series What happened in the show, will happen in the game along with RPG elements and additional plot. Didn't watch the show? Don't worry, you'll absolutely not get lost because of that! However, as the show can spoil the game, the game can spoil the show. ♥ Local Multiplayer (up to 2 players) Discovering the Magic of Friendship with a real friend or siblings will be better, than doing that alone! Explore Equestria, solve puzzles and fight together! ♥ Energetic Battle System As everything will be based on hit-boxes, each skill will have different usage. A single projectile will be better against singular large enemies, while Area of Effect will perform better against multiple smaller enemies. Besides that, the projectiles may have different behavior dependable on skill. Some skills may also have interaction involved, like timed action, chain of buttons or simple button mashing when casting powerful abilities such as Twilight's Magic Nova. ♥ Each pony has a set of unique skills As each pony is different as the night is from the day, their abilities and specialties are different as well! ♥ Skill Tree Each pony will have a different path. Gain experience to improve or learn new abilities. ♥ Skill Assign System Each pony can assign 8 abilities, either active or passive. A good combination of active and passive skills may give decent (even unexpected) results. ♥ Resource gathering and crafting Collect materials to craft equipment; Combine equip-able gems to get better-quality ones; Collect herbs and plants to allow Zecora brew potions. ♥ Many cutscenes and events ...Even too many. Take a break and relax for awhile. ♥ Songs! Your favorite songs from the show will appear here as well! ♥ Minigames and Puzzles Various minigames and solving puzzles to keep the boredom away! ♥ More PONIES! ... When you'll think, that you saw everypony already. Twilight Sparkle A book-loving unicorn pony with extraordinary magical abilities. Represents the element of Magic. > high magical power and resistance > high MP Rainbow Dash An action-loving colorful pegasus pony. Represents the element of Loyalty. > high speed > weather control (elemental abilities) Pinkie Pie An extremely energetic and sociable earth pony. Represents the element of Laughter. > high speed > explosive abilities! > party-buffing singing abilities Applejack A brave, reliable, strong and mature earth pony. Represents the element of Honesty. > high physical power and defense > high HP > party-buffing abilities > lack of magical abilities > low magic resistance Rarity A unicorn pony with good manners and love for beauty. Represents the element of Generosity. > magical abilities dealing physical or magical damage > party-protecting abilities Fluttershy A kind and shy, with love for animals pegasus pony. Represents the element of Kindness. > low HP > doesn't attack on her own - animal-calling abilities > healing abilities > party-buffing abilities Each pony will have a Primary Set of Skills and Passives, some of them will also have a Secondary Set. List of Skill Categories: Legend: [ICON] Name of Category | Set | What resources the category focuses on Passives | Special | --- Each pony will be able to bring 8 skills in total to battle, so either an active or a passive skill can be equipped in these slots. Equipping Passives will simply raise pony's parameters or add special features like additional projectiles when attacking etc. at cost of a skill slot. A well thought combination of these skills can give decent results. Everypony will have Passives. Now let's talk about unique skill sets for each pony. Magic | Primary | MP/EP Twilight will have various spells, starting from simple telekinesis that will deal light damage by throwing various objects -> through magic projectiles that will deal magical damage -> to powerful Area of Effect Spells, that at high MP and EP cost, will bring some destruction to the battle field. Skills | Primary | EP Rainbow Dash will be able to use her wings to perform various tricks to deal more physical damage. Weather | Secondary | MP/EP Rainbow Dash will also be able to control weather to deal elemental damage as well as Area of Effect. Partying | Primary | MP/EP Pinkie Pie will always find an occasion to throw a party and battling with enemies is not an excuse for her! She and her Party Cannon will show enemies how to party by dealing physical or magical damage. Blow up everything and party on! Songs | Secondary | MP/EP Besides partying, Pinkie Pie also loves to sing! As she sings songs during their adventure, she will learn to sing them in battle as well to raise parameters of ponies and more! Skills | Primary | EP Applejack is a strong farmer and she will show who has the power by dealing high physical damage or using her lasso to stun enemies. YEEHAWs | Secondary | MP/EP Applejack is an active pony and she will be showing her energy by motivating her friends and raising their strengths. Magic | Primary | MP/EP Rarity loves shiny gems. Besides using them for her creations, she also uses them as a weapon by dealing physical or elemental damage. Get ready for rains of shiny projectiles. FABULOUS! She can also use the bigger gems to defend her friends. Animals | Primary | MP/EP Let's be honest, Fluttershy wouldn't even harm a fly and even if a situation requires that, she will have troubles with defending herself. However, her beloved animals will cover her! She will be able to call various animals to deal physical or magical damage. Calling a bear will cause some troubles to enemies! Support | Secondary | MP Nopony is as kind and caring as Fluttershy. She will do her best to help her friends in need by recovering their strength and protecting them. Not available. Estimated Release Date unknown. Niedostępne. Przewidziana data wydania jest nieznana. You can support this game by taking this banner! To take that banner, simply highlight it and copy & paste to your signature. This will fill your signature with MAGIC! 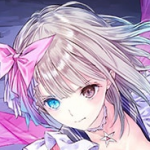 You can also support the game by simply taking this icon with you if you prefer smaller thingies! Hell. Yes. This is why I love Loose Leaf sprites. I was worried about Loose Leaf hair parts not being enough to sprite generated faces, but a lot of chibi bangs can be used. They aren't perfect, but they work. https://store.steampowered.com/app/1050010/ "Take one step towards ending the hatred you have accumulated all these years. Take one step forward towards the path of salvation, and let your anger, hatred, and dissonance fade away. ...But not without a price to pay." Welcome to the world of Even For Eternia! This is my first very serious project for RPG Maker MV. I've been developing RM games for the last six years, starting off with a game called The Last Prince, finally making another project in Ace called Broken Destiny, and then finally, switching gears and moving to RPG Maker MV for Even For Eternia, my first serious release on Steam and to the RPG Maker community. When I set out to make this project I had one thing in mind: Making the game as best as it can be, to show that when you put your heart and soul into everything you can, you can make something truly marvelous. And I wish to share that with everyone. A lot of people say RPG Maker gets a bad reputation, but know that its the developer who can make something glorious, not just the engine. Reserve your copy of Even For Eternia for $8.99 now! With this, you can experience: • An amazing story that lets you take control of six characters, all being tested by their faith and feelings. • Character driven narration. • A Unique Wraith System: For every enemy you defeat, monsters of that particular archetype (fiends, reptiles, dragons) will get stronger over time. Akin to Final Fantasy X-2's Oversoul System but much more streamlined. • Hours upon hours of Side content. • Use emotional fragments, like Sorrow, Depression, or Hatred, to make yourself and your party members stronger. • A Unique Alliance System: Align yourself with six different Alliances; The Faithful of Yvonne, The Scarlet Knights, The Dahlia Corporation, Ahrnalia, The Black Eye, and the Bersera Foundation. Then, reap the rewards of the chosen Alliance in combat. But be careful, some Alliances don't take too kindly on which choices you make, and there will always be a consequence. • Soon to be implemented: Steam Achievements! I highly encourage everyone not just to look at the project, but to see for what it actually is worth: An astounding RPG Maker game that I have put my heart and soul into. Itch.io release: https://radiantarin.itch.io/even-for-eternia GameJolt release: https://gamejolt.com/games/even_for_eternia/315868 If you would like to get in touch with me on a more personal level, then please check out the Discord link below: https://discord.gg/7JkZ9tD Thank you for reading!